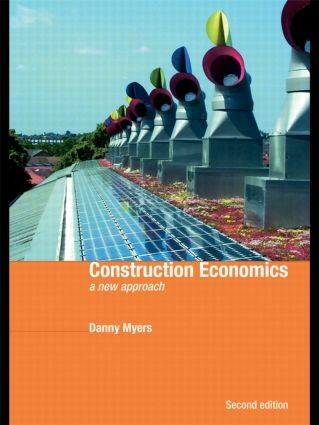 Construction Economics provides students with the principles and concepts underlying the relationship between economic theory and the construction industry. The new approach adopts an argument that economics is central to government initiatives concerning sustainable construction. This edition has been expanded to include the latest debates regarding the private finance initiative, value management, off-site manufacture, the credit crunch, the 2008 OFT investigation into contractors colluding and sustainable construction. The opportunity has also been taken to update the data, examples, readings, and references. This invaluable textbook is essential reading across a wide range of disciplines from construction management and civil engineering to architecture, property and surveying.